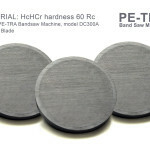 The design of PETRA band saws allows for use of carbide tipped blades. Even very difficult to cut materials can be cut precisely and economically. 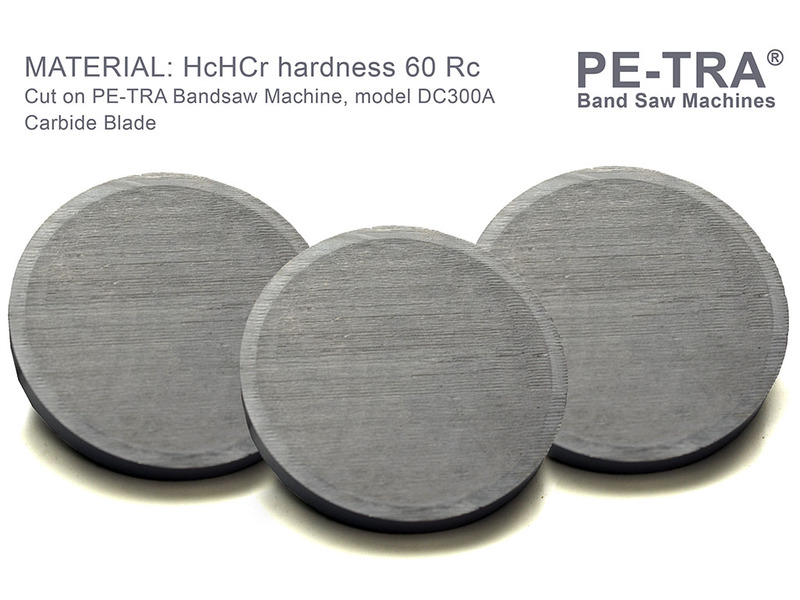 One of our customers in Slovenia recently reported that he is regularly cutting HCHCR 60 HRC hardness on PETRA DC300A CutMaster. He is cutting it with carbide blade, material diameter is 60mm. Cutting time is 3 minutes. This material has 60 HRC hardness on the surface and up to the depth of 3 mm.